Once a widely used building material, asbestos was found to be highly toxic and thus phased out in favour of asbestos-free building materials. However, there is still a lot of asbestos lurking in pre-existing buildings around Brisbane and the rest of Australia. 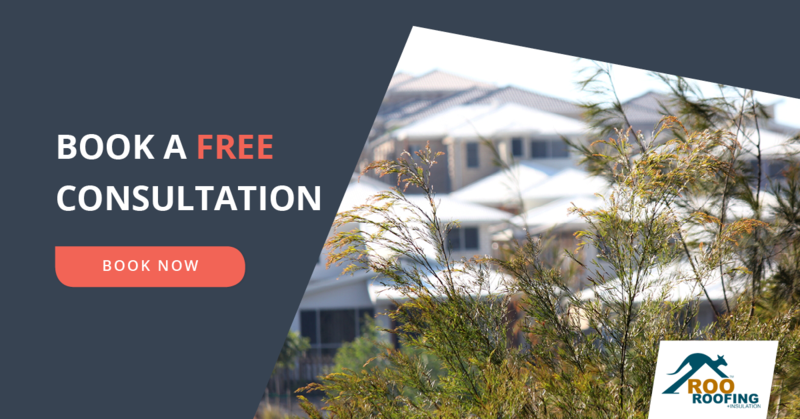 Read on to learn all about asbestos, asbestos roofs and the benefits of getting a roof replacement to remove any asbestos from your home. Asbestos is made of the naturally occurring, rock-forming minerals called silicate minerals. It’s been used for thousands of years, but it became commercialised when the industrial revolution began. It’s malleable, strong when mixed with cement or plastic, soundproof and resistant to electricity, chemical corrosion, water, fire and heat. Builders and manufacturers used it as an insulator for machines, like steam engines and turbines; devices, like boilers, ovens and electrical generators; and buildings. Building materials containing asbestos were classified as either friable, which was soft and crumbly, and bonded, which was solid and rigid. The manufacture, use, reuse, import, transport, storage and sale of asbestos was banned after it was discovered to be a health hazard. When scraped, cut, broken or drilled, it releases particles that are invisible to the naked eye and can stay airborne for a long time, travel large distances and, if inhaled, cause several deadly diseases. Pleural plaque causes the pleura, or the tissue around the lungs and the diaphragm, to thicken, harden and potentially trap and compress part of the lungs. It doesn’t have many symptoms and may only show up as a mass on an X-ray image. Pleural effusion causes excess fluid buildup in the pleural space, or the area between the chest wall and the lungs. Mesothelioma is also known as cancer of the pleura. Asbestosis causes the lung tissue to become scarred, putting those suffering from it at greater risk of lung cancer, especially if they smoke. This type of cancer forms in the lung tissue, usually in the cells that line the air passages. The use of asbestos in construction was so widespread in Australia that there are currently thousands of homes and buildings that still have asbestos in their roofs. The most common kind of asbestos roof was Super Six. It is essentially corrugated sheeting made of asbestos cement. Asbestos was also used to make roof shingles and tiles. These look so similar to slate that they often got passed off as rock. If your home was built or renovated between the mid-’80s and the ‘90s, chances are that it has an asbestos roof. Aside from being used as corrugated sheeting, you can find the toxic substance under eaves or used as rain gutters. If you suspect that your roof might be made of asbestos, you can get a roof inspection and a sample tested. Roo Roofing can perform asbestos roofing inspections and are specialists in asbestos removal, disposal, and restoration. Asbestos can be hard to identify and safely removing it is a precise process. Roo Roofing are not only qualified to remove and restore asbestos roofs, we guarantee that the work will be completed to all safety standards. We can also replace it with a roof that’s modern and truly safe with minimal disruption to your day-to-day.